Maintaining your exhaust system means reducing your fuel consumption and emissions. 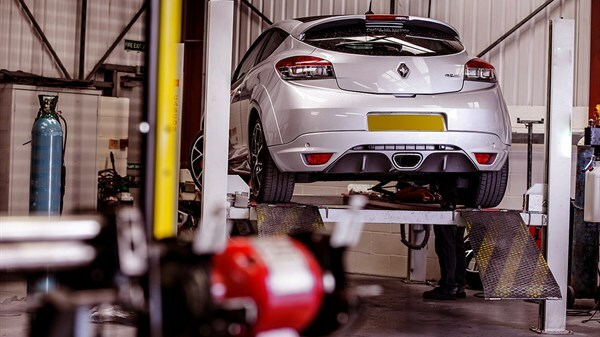 This is why Renault offers services such as visual check of the exhaust, emission control test and replacement of any element of your exhaust system. Unusual noise when starting or when on the road. Black smoke coming out of the exhaust pipe. A sudden decrease in power. If you notice one of these signs, have your exhaust system checked in one of our approved Service Centre in Pailles. Please arrange for an appointment by calling Mr Sanjeev Muhonur (207 2460). Our experts are on here to advise you. Have your exhaust system checked at every service. Have the condition of wear of the exhaust pipe, the silencer, the expansion chamber, the particle filter and mountings checked at the same time. For more information visit our approved Service Centre in Pailles. Please arrange for an appointment through Mr Sanjeev Muhonur (207 2460). TIP: Do not drive too often on the reserve fuel. You risk damaging the exhaust pipe and the particle filter. NB: Exhaust systems can be serviced at Pailles Service Centre only.